Bengaluru, 12th Oct 2017 – Luxury living has a new price tag in Bengaluru, withtheleading developer EmbassyGroup closing the sale of one of its iconic branded Private Residences, at its flagship luxury Integrated development - Embassy ONE. Developed by Embassy Group, Embassy ONE houses lifestyle residences representing exquisite engineering, cutting-edge design and dedicated service matching international standards. India’s first Four Seasons Private Residences in Bengaluru, are a part of this marquee destination. The community of private residence owners at Embassy ONE span across industries and countries and represent a niche lifestyle desired by many,but acquired by only those with a true penchant for world-class hospitality within the comforts of their curated luxury homes. James Price, Vice President, Residential, Four Seasons Hotels and Resortssaid, “The sale speaks ofthe value and benefits that Four Seasons brings as a brand, and is a vote of confidence in the project. We are excited to have partnered with the Embassy Group to create this remarkable lifestyle opportunity in one of the fastest growing cities in the world – Bengaluru”. Embassy is one of the leading property developers in India with a track record of over three decades in real estate development. 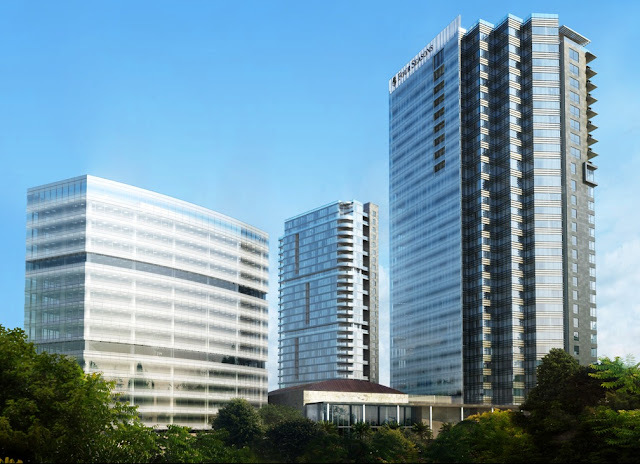 Embassy has an extensive land bank across the country and has developed over 40 million square feet of prime commercial, residential and retail space in India as well as Malaysia and Serbia. Embassy's portfolio of real estate developments spans the commercial, residential, industrial & warehousing, retail and hospitality segments of the real estate industry. The commercial real estate business includes the development of business parks, and ten SEZ across South India including India’s first and only IGBC Platinum Certified Business Park Campus.